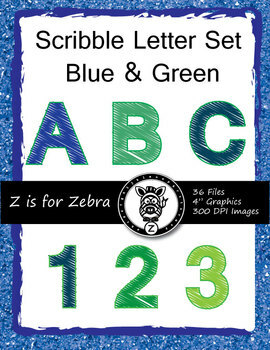 Scribble letters, upper case letters in tones of blue and green (outlined in green). 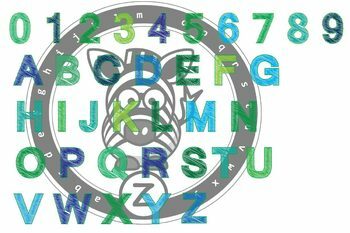 Each letter/number is approximately 4" high, and saved as a transparent PNG file for you to use. The preview is the 2nd thumbnail if you want to get a better look at the images.